This is a natural GIA certified fancy colored diamond pendant. 5.08 total carats of radiant cuts are hand-wrapped with contrasting white round brilliant diamonds. 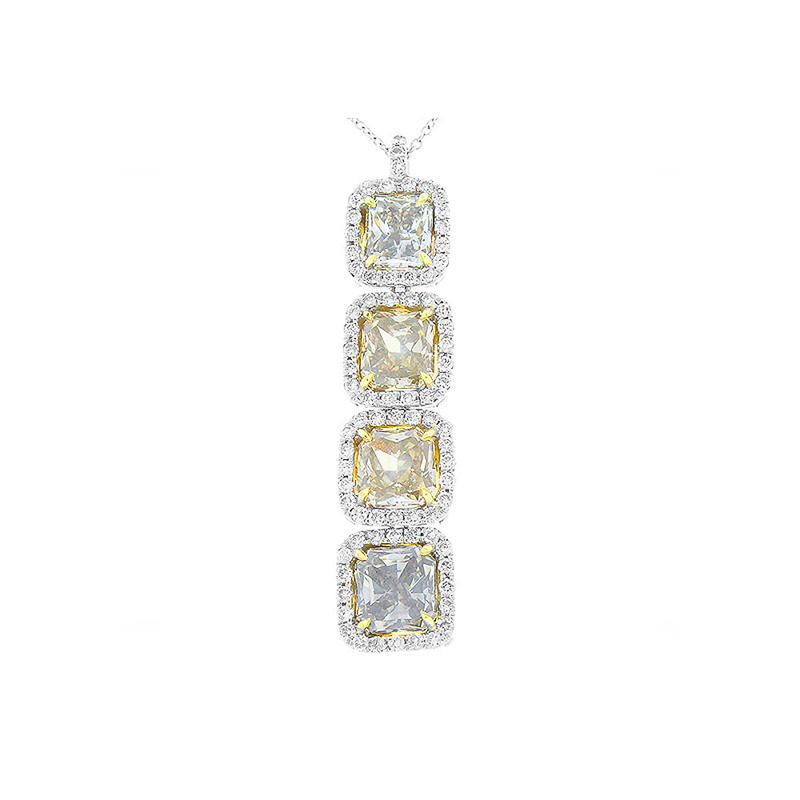 The colors of the 4 large radiant cuts are fancy light greyish - green yellow, GIA certified diamonds, framed with 0.70 carats of brilliant diamonds in this 18k white & yellow gold setting. This is going to get noticed as each diamond is about 1.27ct each.